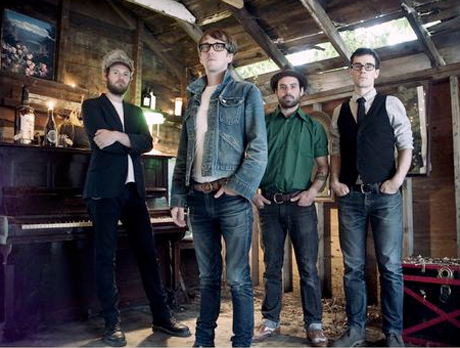 Toronto-based alt-country outfit Cuff the Duke recently recorded a session for CBC Radio 2. They ran through three tracks off their latest Exclaim!-approved album Morning Comes, then surprised everyone with a rendition of Arcade Fire's "The Suburbs" from last year's huge record of the same name. Listen to Cuff the Duke's countrified take on the Arcade Fire track below and head over here to hear the band play "Count On Me," "Standing on the Edge" and "Time Is Right."